The One and Only Ivan is an amazing book that takes you though the mind of a gorilla in Ivan's thoughts about anything and everything. Ivan has been at the Exit 8 mall for as long as he can remember (which is not very long). he likes his domain and everything in it and his job. Ivan is a gorilla artist who pictures are sold for 20$ in the gift shop and 25$ with a frame. His life is good that is before there will be a new animal at the mall. A baby elephant named Ruby is brought in to attract new costumers. Ruby has been stolen from her family and the only elephant to keep her company is Stella Ivan's best friend. Before Stella passes away Ivan makes a promise he will get Ruby to a safe place that is not the Exit 8 mall. The One is Only Ivan was an inspiring book because it taught me to keep my promises even when you have doubts about the promise you made. While reading this book I learned to appreciate things more because once they're gone they're gone, and you never get them back. In the story Ivan lost his parents and his sister. I know if I lost any of my family I would be heart broken. It taught me to keep my promises when the going gets tough, in the book Ivan has a lot if doubts about trying to get ruby to a better place but he tries his hardest to do what is best for her. Meet the real Ivan, Ivan is a real gorilla that used to lived in the Tacoma, Wash shopping mall for 27 years and then was transported to the Atlanta Zoo who died later that year. Interview with Katherine Applegate as some people ask her questions about what it was like to rite about a gorilla and write a book in general (in words). The One and Only Ivan book trailer (school tube). Disney is talk with people of the One and Only Ivan about adopting it and making in a movie. Information about Ivan life before, during and after moving to the Atlanta zoo then later dying. 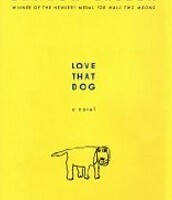 Love That Dog is unlike The One and Only Ivan because it is told in diary format going throw the school year of Jack. While The One and Only Ivan is told through the years of Ivan the gorilla although it might be in diary/poetry form it however does not give dates. Love That Dog is similar to The One and Only Ivan because It is told with a lot of emotion and heart, just like The One and Only Ivan. Both these books are told from different perspectives one from the point of view of an animal and one from a human. 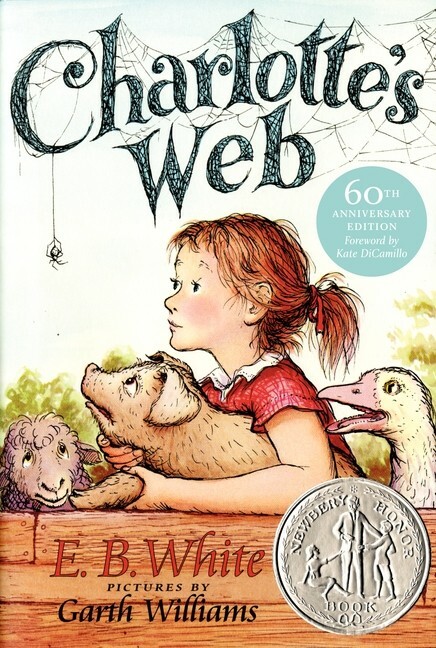 Charlotte's Web is similar to the one and only Ivan because it goes through the story following the character Wilbur the pig who's mother was killed and he was taken away from the family just like Ivan. 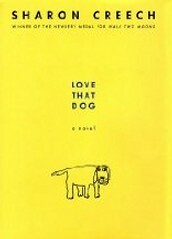 The two main characters in both books are animals and are best friends. The human in both story's try to save them in The One and Only Ivan it is Mack that tries to save Stella, Ivan, and Ruby. In Charlotte's Web Fern Does save Wilbur by taking him home and raising him like a baby so he didn't become a park chop or bacon. The Three Times Lucky follows the story line of Mo and her best friend as they try to find Mo mom that has been kidnapped. The One and Only Ivan follows the story line of Ivan as he tries to get ruby to a better place. As they both try to make something happen they can't do it alone they both need some help of friends. Mo and Ivan both try their hardest to succeed and it taught me to try as hard as you can and it will pay off and you will get where you are going. "The One and Only Ivan - Book Review." The One and Only Ivan Book Review. N.p., n.d. Web. 16 Dec. 2015. "The One and Only Ivan." Goodreads. N.p., n.d. Web. 16 Dec. 2015. "Robot Check." Robot Check. N.p., n.d. Web. 17 Dec. 2015. "THE ONE AND ONLY IVAN by Katherine Applegate , Patricia Castelao | Kirkus Reviews." Kirkus Reviews. N.p., n.d. Web. 17 Dec. 2015. "Meet 'Ivan': The Gorilla Who Lived In A Shopping Mall." NPR. NPR, n.d. Web. 17 Dec. 2015. 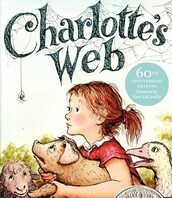 "Charlotte's Web." , By E. B. White, Kate DiCamillo , Illustrated by Garth Williams: HarperCollins Children's Books. N.p., n.d. Web. 17 Dec. 2015. "Meet the Latest Newbery Winner: How Katherine Applegate Created a Modern-day Classic." School Library Journal. N.p., n.d. Web. 18 Dec. 2015. "One and Only Ivan Book Trailer." SchoolTube. N.p., n.d. Web. 18 Dec. 2015. 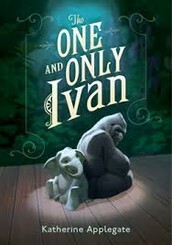 "Disney in Talks to Pick Up Children's Novel 'The One and Only Ivan'" The Hollywood Reporter. N.p., n.d. Web. 18 Dec. 2015. "Ivan Dies At 50: A Gorilla Life, Remembered." NPR. NPR, n.d. Web. 18 Dec. 2015. 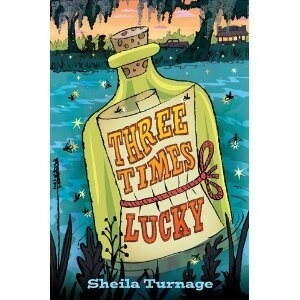 "'Three Times Lucky' by Sheila Turnage Is a Fabulous Middle Grade Read." Examiner.com. N.p., n.d. Web. 18 Dec. 2015.